The Project Management Championship is back at Olympia, but are you up to the challenge? 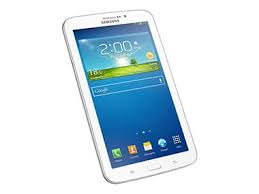 You could win a Galaxy S3 7inch tablet…. Are you a good project manager? Do you want to prove it? Are you an aspiring project manager and want to see if you can make it with the big guns? Then enter a team or individually in The Project Management Championship and pit your wits against the best of the rest. The Project Management Championship is an exciting competition open to anyone interested in project management. Experienced or new to the field, The Project Management Championship is a level playing field for all entrants. 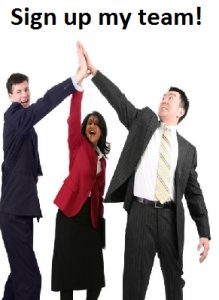 Delivering projects is all about team work so The Project Management Championship is designed for teams of three who aspire to the title of “Project Management Champions” . The competition will be held at the Project Challenge Expo 2014 at Olympia, London. Teams will run a simulated project over 2 sessions on the second day of the show using SimulTrain® – the project management simulator from STS. The winners will be the team with the best weighted scores across four key measures of success: costs, schedule (on-time), quality and motivation. The winners be The Project Management Champions for the year and receive individual trophies to keep together with the traditional drink of champions – champagne, oh and a Galaxy S3 7inch tablet each too!. The last placed team will get the wooden spoons! Are you up to the Challenge? Enter your team (3 team members required) or sign up individually and get allocated to a scratch team. Click on the appropriate image. The final will be run over two sessions on the second day of the Project Challenge Expo 2014. Each team will be provided with a project description and a laptop computer which will run the SimulTrain® project management simulator. There are four different scenarios within SimulTrain® – you will find out on the first day which one will be used. The project will be explained to you and you will be shown how to use the simulation software. No previous experience of the software is required. The teams will then be given an hour to undertake some planning using the simulator before the first simulation period begins. This first period simulates the first four weeks of the project and takes one and a half hours. Through out the simulation SimulTrain® monitors 4 key indicators – Cost, Schedule, Quality and Motivation. it is these key indicators that will determine the winners of The Championship. At the end of the first simulation period, each team must prepare a short progress report explaining how they have got to where they are, what they see as the key risks to completing the project and what actions they are going to take to ensure they deliver on time, in budget and to the required quality. Each team will be expected to present their progress report verbally to The Championship Steering Committee. This should last no more than 5 minutes per team, but the quality of the report will determine the winners should there be a tie on the key indicators at the end of the simulation.